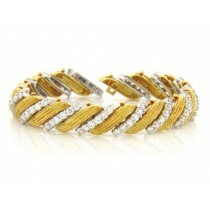 You’ll love the lustrous look of yellow gold bracelets. Sleek gold is a classic choice for fine jewelry. 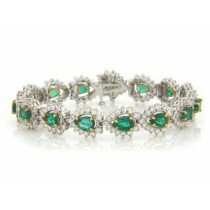 It delivers abundant shine in bracelets, necklaces and fancy rings. We craft our own diamonds into settings of 18 or 14 karat gold. 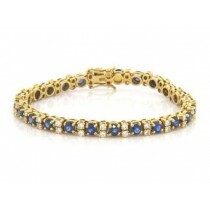 Our yellow gold bracelets for women are versatile, fashionable and fabulous. 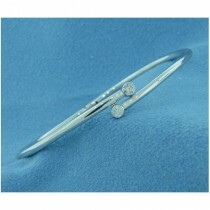 After you find your favorite bracelet, we can make it shorter or longer for a wonderful fit. 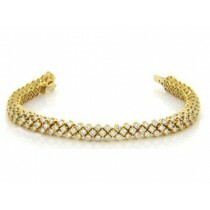 Choose from sophisticated styles, intricate patterns and delicate designs that shimmer superbly with diamonds and gold. 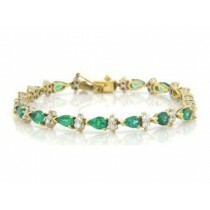 You’ll also want to see our yellow gold diamond bracelets that feature emeralds and sapphires. 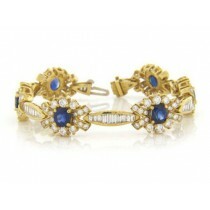 When brightly colored stones and diamonds are nestled into gold settings, the effect is breathtaking. 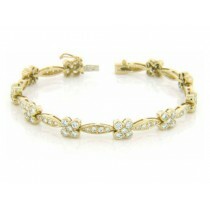 From precious flowers to multi-row arrangements, our gold bracelet designs share glowing beauty to last a lifetime. If you prefer superb workmanship, A. Fishman & Son should be your wholesale jeweler of choice. 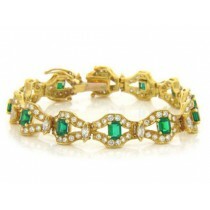 You can find the best yellow gold diamond bracelets online with our valuable expertise. 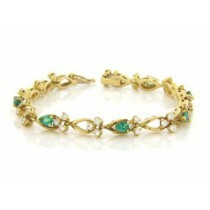 We specialize in the unique blending of precious stones in various shapes and sizes. 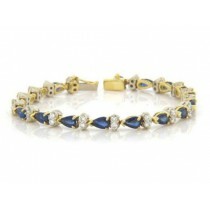 We are dedicated to offering our customers exciting and enchanting designs they can wear for an array of occasions. 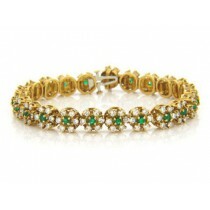 Visit us first to discover the most exquisite yellow gold diamond bracelets in New York City. Remember, that as we manufacture our fine quality jewelry, we hand select loose diamonds from our own inventory. You’ll never find mass produced or imported bracelets here. 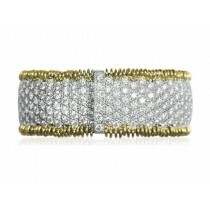 So contact us to learn more about buying the best yellow gold diamond bracelets online today.